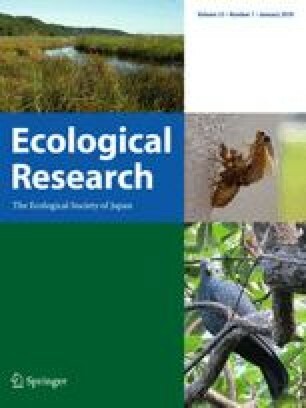 The phylogeography of the endangered tideland snail Batillaria zonalis in the Japanese and Ryukyu Islands was analyzed on the basis of nucleotide sequences of a mitochondrial gene for cytochrome oxidase c subunit I (COI). Extremely low genetic diversity was found in populations at both the northern and southern boundaries of the geographic distribution of this species in Japan, i.e., Sendai Bay and Iriomotejima Island, respectively, which might be attributed to the population bottleneck due to historical environmental variations and/or the recent foundation of populations in the marginal part of the inhabitable range. Most populations contained unique rare haplotypes, and significant genetic differentiation on the whole was shown, while no clear geographic genetic structure was detected between the Japanese and Ryukyu Islands or over the distribution area of B. zonalis in Japan, with the exception of significant genetic divergences in Ago Bay in the central part of Honshu and the southern part of Okinawajima Island. We thank Drs. Takao Suzuki, Tohoku University; Hiroshi Fukuda, Okayama University; and Makoto Tsuchiya, University of the Ryukyus, for their help in sampling. We also thank Mr. Taiji Kurozumi, Natural History Museum and Institute, Chiba, for the identification of specimens. Part of this study was supported by grants from the Ministry of Education, Sports, Culture, Science and Technology of Japan (Nos. 12NP0201 and 13640693).